Defenders of Ekron mixes shoot'em up action and the exploration of an adventure game. Destroy enemies in 360° shooting range, analyze unique scenarios, upgrade your Anakim's skills and defeat The Renegades to stop the bursting civil war threatening Ekron. The revolution starts with you! The Definitive Edition features new difficulty settings, several improvements to the general gameplay for a more balanced experience such as additional checkpoints, and a brand-new Boss Rush Mode, where you challenge all of the 13 main bosses in a row with no health regeneration. It is also included the 8-bit version of the video game called Invaders of Ekron, which shows a retro vertical shoot'em up retro style. Defenders of Ekron - Definitive Edition was released on PC, PS4 and Xbox One 260d ago in the US and the UK. 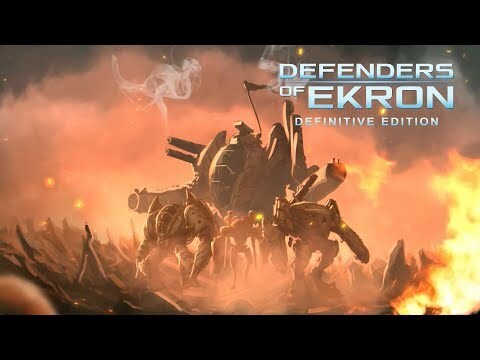 Notify me when Defenders of Ekron - Definitive Edition is available.